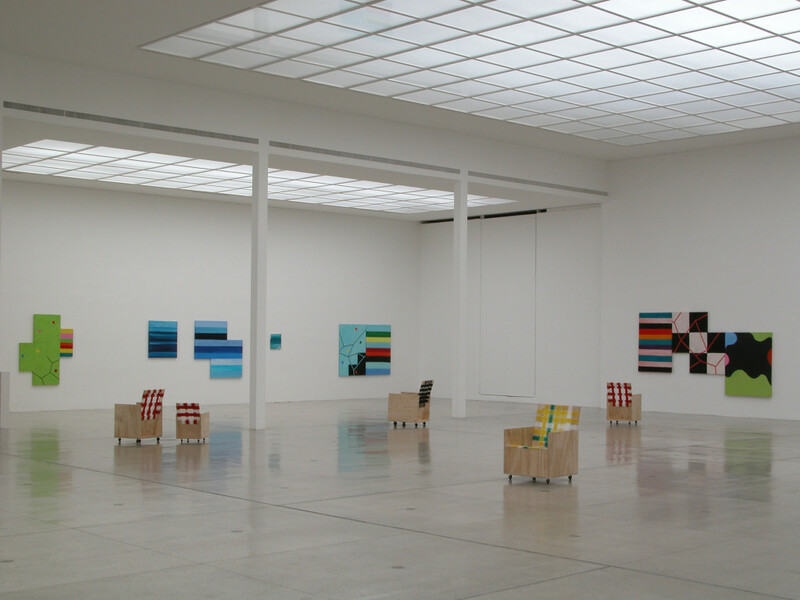 Mary Heilmann’s pictures assume a special position in the genre of abstract painting. 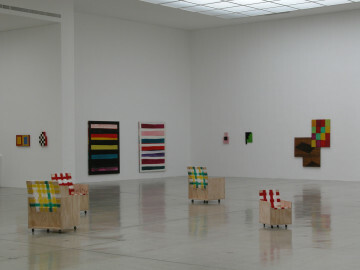 Whereas autobiographical moments often provide a starting point for her works, the reduced forms and the choice of expressive color compositions frequently cite elements of the most diverse lifestyle and design cultures from the last decades. Styles are borrowed from abstract expressionism, Pop Art and geometric painting. 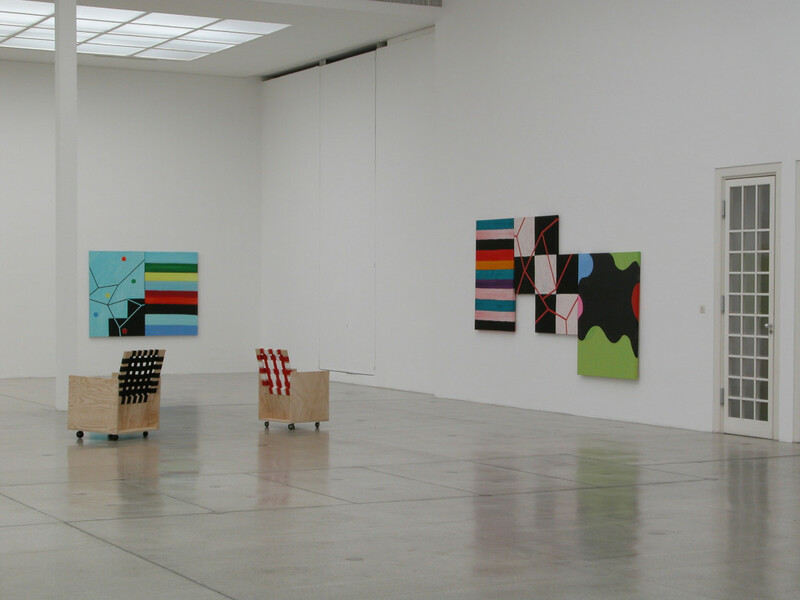 The spaces of personal memory that flow into Mary Heilmann’s work are alluded to with associative titles. 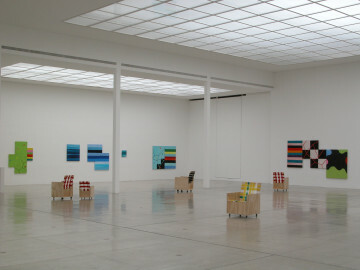 The exhibition at the Secession, which is dedicated to her recently deceased gallerists Pat Hearn and Colin de Land, comprises thirty works from the late seventies up to the present and shows paintings, ceramic pictures, and a series of specially designed wooden chairs with colorfully woven seats. 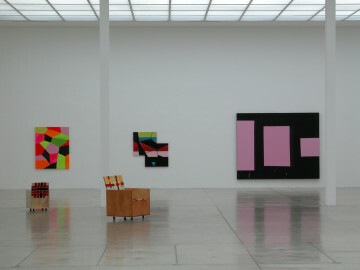 In this combination of different practices, the artist indicates not only her own way of dealing with abstract painting, which goes beyond the analysis of a medium, but also to relation to sculpture. 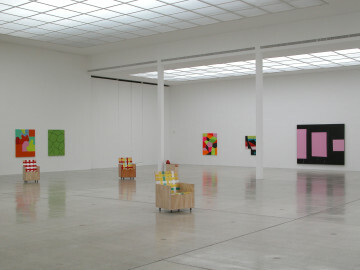 Mary Heilmann, who studied ceramics and sculpture in Berkeley in the 1960s, was soon in close contact with artists such as Gordon Matta-Clark, Bruce Nauman and Keith Sonnier. It was in New York in the early 1970s that she first began exploring and experimenting with materials and forms (of dematerialization)—contrary to a general trend more in the direction of minimalism—in the field of abstract painting. The early works, in which Mary Heilmann primarily used acrylic on canvas, are dominated by lattice and grid structures, which she reinterprets from the basis of her interest in process-oriented sculptures, but also as a counterreaction to their traditionally defined prosaicness and austerity. 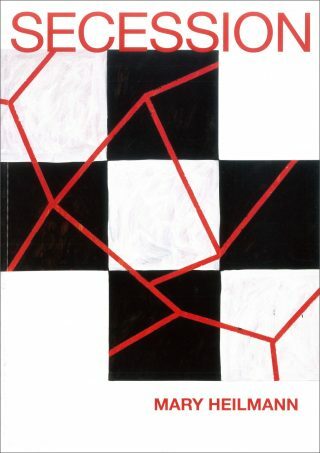 In the treatment of the surface and space of the picture that is characteristic for the artist, her use of reductive painterly methods and an elementary geometrical vocabulary, visual and tactile picture conceptions interlock. With a striking sense of color, Heilmann weights circles, lines and squares in forceful contrasts. The corners and edges of the canvas are often integrated into the motifs. 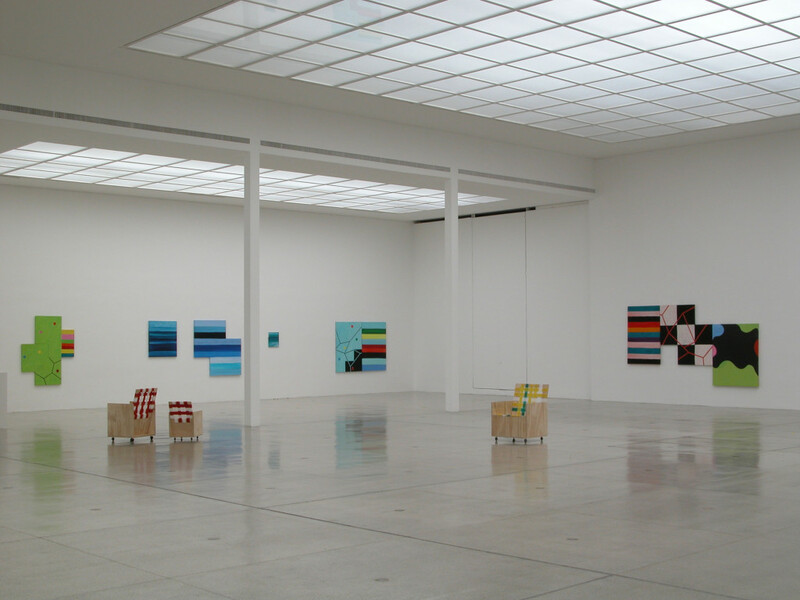 By frequently painting over the pictures, Heilmann disturbs the balance of the colors, but increases their intensity at the same time. Since the late 1980s, Heilmann has used oil on canvas more and more and developed the superimposition of painterly planes into complex spatial structures. 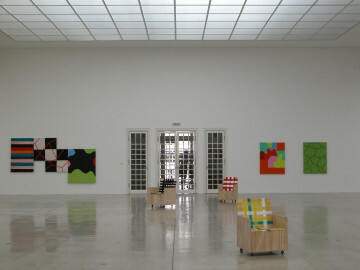 Her use of “shaped canvas” emphasizes the intention of opening up a dialogue with architecture. Even though Mary Heilmann cites the formal language of the history of abstraction and minimalism in her works, the focus is not on the analysis of form and content, but rather on playing through these elements of style in order to go beyond their logic. 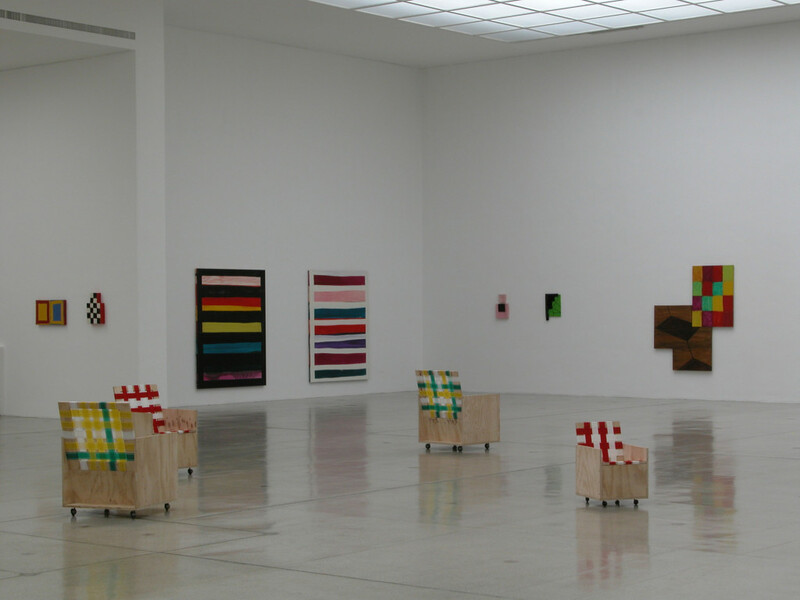 In addition to the integration of biographical moments, Mary Heilmann’s works also have a close affinity to film and music, and literary writing. In the book The All Night Movie (1999), she tells her life story and describes the context in which her pictures are created and which they cite. The All Night Movie combines anecdotes from her private life with developments in her career, tells of art attitudes and thinking and changing perspectives in the art market. Mary Heilmann, born in 1940, lives and works in New York City.